Following are some posts about business litigation. In March of 2009, the United States Court of Appeals for the Ninth Circuit upheld the dismissal of a case with prejudice. The plaintiff had agreed to arbitration but could not afford the $220,000 advance arbitration fee. Kam-Ko Bio-Pharm v. Mayne Pharma, No. 07-35449. This left the party with no remedy. The decision follows settled law. That is, if you are a business (not a consumer or employee) and you sign an arbitration contract, you are bound by the contract terms. But the unfortunate parties who sign ridiculous arbitration contracts do not understand the implications of an agreement to arbitrate. There are 2 problems with the arbitration process: It is more expensive than Court proceedings, and the decisions are of lower quality, i.e., arbitrary. I recommend arbitration generally in situations where you are wealthier than the other party and you do not care about the outcome. As in the case cited, the parties have to pay for private arbitration. On the other hand, in the Court setting, access to the system is a benefit of our government, already paid for by our taxes. For a $350 filing fee you get the benefit of an excellent system. Many arbitrators are attorneys who are considering becoming Judges someday. The typical arbitrator has heard a small fraction of the number of cases heard by the typical Judge. “Early on the learning curve” translates to “increased probability of mistakes”. To lesson the effect of random factors, the arbitration agreement can require 3 arbitrators. Of course, this triples the arbitrator fees. Arbitrators and Judges are human. As a result, they make mistakes. If a Judge makes a mistake in a big case, the parties may appeal. But there is no appeal from a wrong arbitration decision. So the arbitrator who makes incorrect decisions may never learn. Furthermore, there is no public record of incorrect arbitration decisions. Data on the performance of arbitrators in actual proceedings is, to be charitable, incomplete. You can ask around, but this is not as reliable as the written record of appeals. 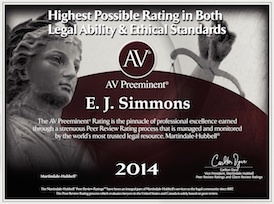 Those who prefer arbitrations believe that arbitrations are fast and less expensive. They may be faster, but flipping a coin is faster and less expensive yet. So consider this thought experiment: would you be willing for disputes under this contract to be decided by flipping a coin? If so, then sign the arbitration clause, and specify one random arbitrator. Some clients want an arbitration clause. In a few situations, arbitration is better for the client. In such situations I add a requirement to the arbitration clause: the arbitrator selected must be a retired Judge. If the arbitrator is a retired Judge, then you get an experienced decision maker. This greatly increases the quality of the process and the quality of the decision at no added expense. If you have an arbitration experience or comment to share, please leave your comment below. And to my arbitrator friends: I am not writing about you. For a link to a notice of deposition form, scroll down to the end of this post. A deposition under Federal Rules of Civil Procedure 30 (b) (6) requires an adverse organization to provide a witness who will give up its information on the specified topics. “FRCivP 30 (b) (6) Notice or Subpoena Directed to an Organization. However, an adverse witness is motivated to not cooperate and to neither know nor remember anything specific. This makes the discovery process less efficient, more costly, and maybe incomplete. To lessen the chance of stalling and delaying deposition answers (not that any witness would ever try to stall or delay), I have found it helpful to send a letter with the notice of deposition commenting on the company’s obligation to investigate and review the topics of a 30(b)(6) notice of deposition. The following is an example letter to send after conferring with adverse counsel about the topics, and setting a convenient time. With the letter I include a one-page summary of the law. Sophisticated adverse counsel will understand that the letter is intended to be a concise way to persuade the Judge, if a discovery dispute breaks out. We have discussed deposition scheduling a number of times. The deposition of XYZ Company is scheduled for _______ 200_ . 1. Safety standards used or referred to by XYZ Company that relate to _______. I expect that this will include [specific references]. 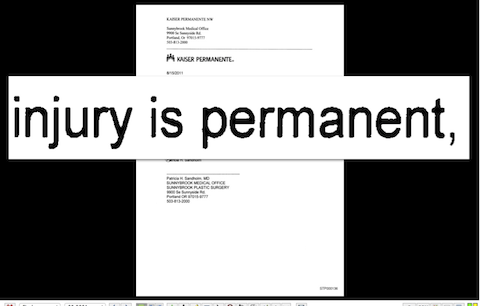 In any event the witness will need to testify about sources XYZ Company refers to for safety standards. The witness will need to be familiar with the specific application of the relevant standards to [specifics of case]. 2. As pertaining to [a relevant contract]: what XYZ Company understood in 200_ to be its obligations for [relevant performance] as to [relevant circumstances], [relevant place], [relevant communications with others], [relevant knowledge], and [relevant action]. 3. Other information about the [relevant incident]. Please note that, under FRCivP 30(b)(6), XYZ Company has an obligation for the designated witness to investigate and prepare to testify on the designated topics. See enclosed quotation from Calzaturficio S.C.A.R.P.A. V. Fabiano Shoe Company, Inc., 201 F.R.D. 33 (D.Mass 2001), and cases cited therein. As is my practice, a formal Notice of Deposition under FRCivP 30(b)(6) is also enclosed. Indeed, the law is well-established that a 30(b)(6) deponent does have an affirmative obligation to educate himself as to the matters regarding the corporation. Rule 30(b)(6) explicitly requires [a company] to have persons testify on its behalf as to all matters known or reasonably available to it and, therefore, implicitly requires persons to review all matters known or reasonably available to it in preparation for the 30(b)(6) deposition. This interpretation is necessary in order to make the deposition a meaningful one and to prevent the “sandbagging” of an opponent by conducting a half-hearted inquiry before the deposition but a thorough and vigorous one before the trial. This would totally defeat the purpose of the discovery process…Preparing for a Rule 30(b)(6) deposition can be burdensome. However, this is merely the result of the concomitant obligation from the privilege of being able to use the corporate form in order to conduct business…[A company] does not fulfill its obligations at the Rule 30(b)(6) deposition by stating that it has no knowledge or position with respect to a set of facts or area of inquiry within its knowledge or reasonably available…. United States v. Taylor, 166 F.R.D. 356, 362 (M.D.N.C., 1996), aff’d 166 F.R.D. 367 (M.D.N.C., 1996). See also Poole ex rel. Elliott v. Textron, Inc., 192 F.R.D. 494, 504 (D. Md., 2000) (“Upon notification of a deposition, the corporation has an obligation to investigate and identify and if necessary prepare a designee for each listed subject area and produce that designee as noticed.”); Dravo Corp. v. Liberty Mut. Ins. Co., 164 F.R.D. 70, 75 (D. Neb., 1995) (citing Marker v. Union Fidelity Life Ins. Co., 125 F.R.D. 121, 126 (M.D.N.C., 1989)) (“If the persons designated by the corporation do not possess personal knowledge of the matters set out in the deposition notice, the corporation is obligated to prepare the designees so that they may give knowledgeable and binding answers for the corporation.”); Buycks-Roberson v. Citibank Fed. Savings Bank, 162 F.R.D. 338, 343 (N.D. Ill., 1995)(stating that the duty to present and prepare a Rule 30(b)(6) designee goes beyond matters personally known to that designee or to matters in which that designee was personally involved. ); Securities and Exchange Commission v. Morelli, 143 F.R.D. 42, 45 (S.D.N.Y., 1992) (citing Mitsui & Co. (U.S.A.), Inc. v. Puerto Rico Water Resources Authority, 93 F.R.D. 62, 67 (D.P.R., 1981)) (“under Rule 30(b)(6), the deponent ‘must make a conscientious good-faith endeavor to designate the persons having knowledge of the matters sought by [the party noticing the deposition] and to prepare those persons in order that they can answer fully, completely, unevasively, the questions posed…as to the relevant subject matters. '”); ABA Civil Discovery Standards (Aug. 1999), § 19(f) (“Counsel for the [corporation] should prepare the designated witness to be able to provide meaningful information about any designated area(s) of inquiry.”). For an example of a notice of deposition under FRCP 30 (b) (6), see the Depositions page. This form is based on a notice that was served in a personal injury case involving major injuries resulting from failure to follow safety standards. .